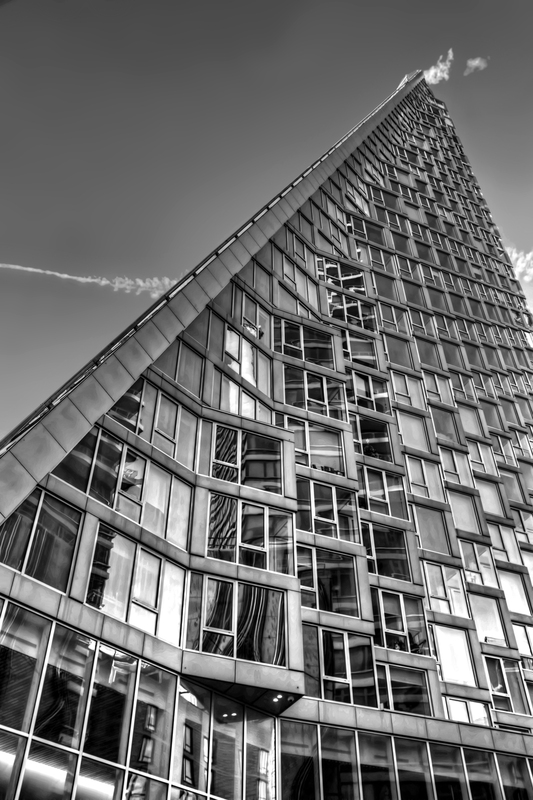 This is Via 57, a building by the very interesting Danish architect Bjarke Ingels -- the first project of his I remember hearing about was a clean energy power plant in Copenhagen with a ski slope on the roof. It's a curving pyramid with an interior plaza, located in the architectural wasteland of the West Side Highway. I took this picture in the winter when the light was already fading, and haven't made it back yet.